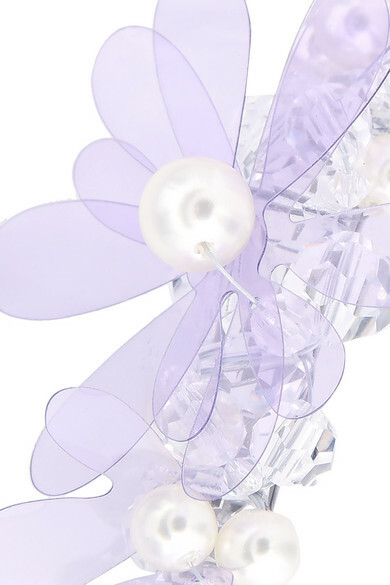 '90s nostalgia is reaching fever pitch at the moment and the latest in a long run of revivals is pretty hairclips. 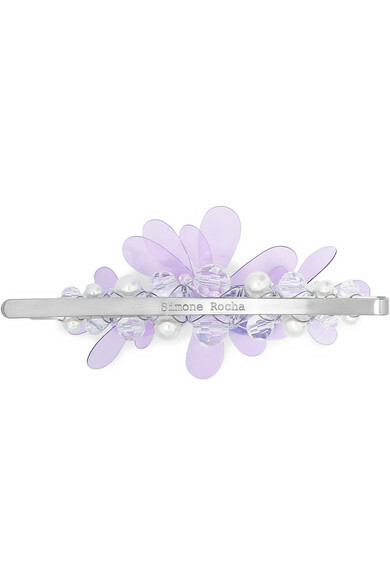 Simone Rocha's barrette is cast from polished silver-tone metal and topped with clear crystals, lustrous faux pearls and purple PVC 'jelly' petals. 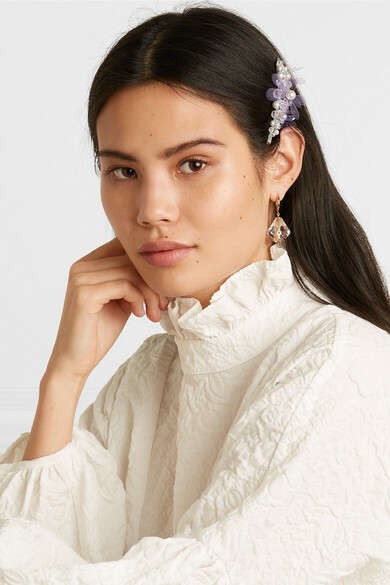 Use it to push your hair to one side, just like Alexa Chung and Hailey Bieber.